Have lots of Cilantro around and looking for something to do with it? 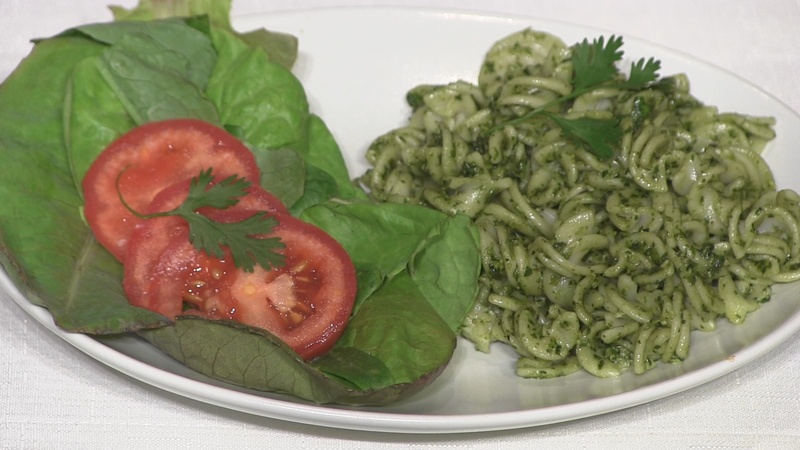 Try this quick and easy Pesto for a bright and clean flavor for pasta, sandwich spread or a party dip! Add all the ingredients except the Oil and Salt into the food processor. Turn on the food processor and add the oil gradually until the desired textured is obtained. Take a taste and add salt to taste. Freeze the surplus of your batch in ice cube trays and then store in freezer bags. 1 ice cube equals one serving. Stir in with your pasta or use as a dip with crackers.